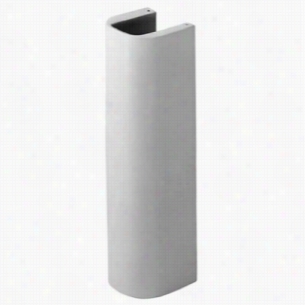 Herbeau 034120 - MONARQUE Pedestal Only. 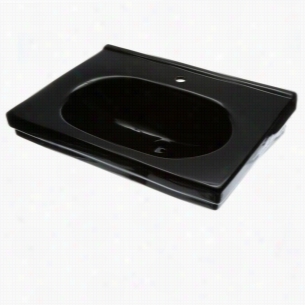 Foremost F1950SBK - Pedestal Sink Basin Only in Black. 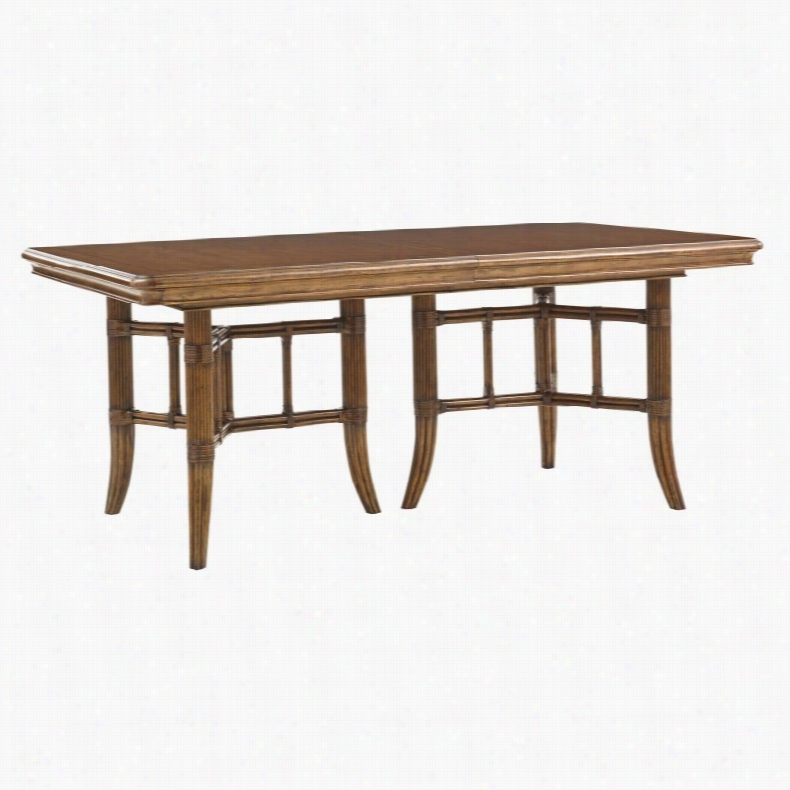 Lexington Home Fischer Island Double Pedestal Dining Table. Dimensions: 72L x 44W x 30H in.. Quartered cherry veneer top. Maple border with ebony inlay. Leather wrapped legs. Includes two 20-inch extension leaves for 112-inch expansion. Double pedestal base with carved details. The Lexington Home Fischer Island Double Pedestal Dining Table is perfect for having a small gathering or a large dinner party in your kitchen or dining area. That's because this table includes two 20-inch extension leaves to expand the table up to 112 inches. The table is composed of quartered cherry veneers with maple and ebony. It sits on a decorative double pedestal base.About Lexington Home BrandsFounded in 1903 in High Point, NC, Lexington Home Brands has become a globally known manufacturer and marketer of unique home furnishings. They are an industry leader in design, style, and quality products. Their product line consists of upholstered and hardwood furniture under recognized brands such as Lexington, Tommy Bahama, Sligh, and Henry Link Trading Co. Lexington Home Brand's intentions and aspirations are to create exclusive designs and styles that accommodate the traditional, contemporary, casual, and formal decors of their customers' homes. 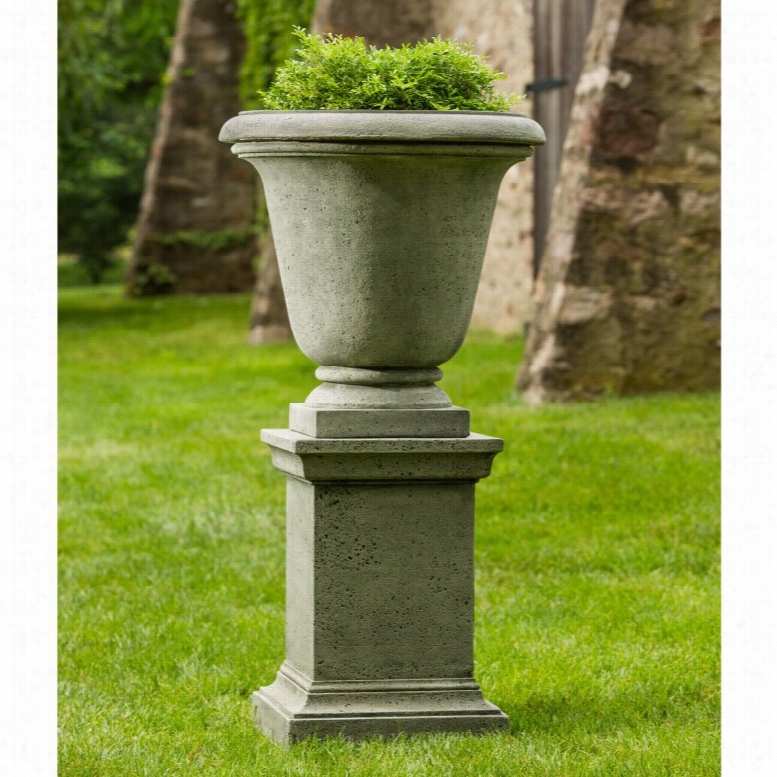 Campania International Fairfield Urn Planter with Pedestal. American Standard 0780.008.020 - Town Square 27 in. 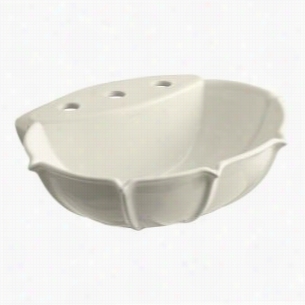 Pedestal Sink Basin. 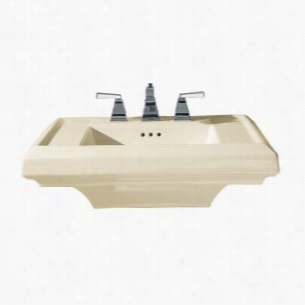 American Standard 0282.008.222 - Fireclay Pedestal Top Sink, 27 x 19-3/4 x 36. 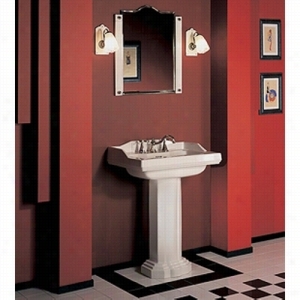 American Standard Fireclay Pedestal Top SinkRetrospect CollectionUses Retrospect Collection Pedestal Top with 8" (203mm) CentersBowl Dimensions: 15-1/2" Wide x 12" Front to Back x 6-1/8" DeepFaucet is pictured, but not included. Faucet Sold SeparatelyOptional Components: 9425.200(Skyline Washstand), 8711.000(Console Table Legs), 9420.000(Washstand), 0066.000(Pedestal Leg)Table Sold Separately. 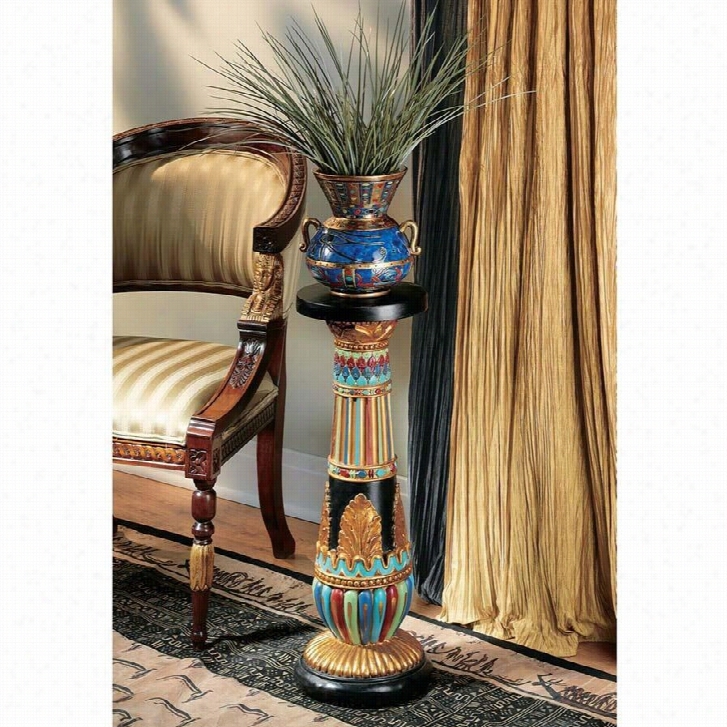 Regal Egyptian Luxor Sculptural Pedestal. 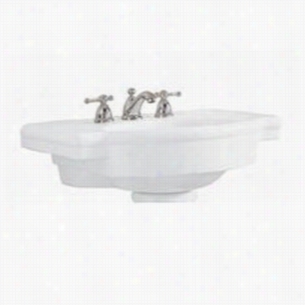 Kohler K-2230-8-47 - 21" Single Bowl Pedestal 3-Hole 8" Centers Vitreous China Bathroom Sink Only, 21 3/4" x 18 1/4" x 8 1/2" Deep. 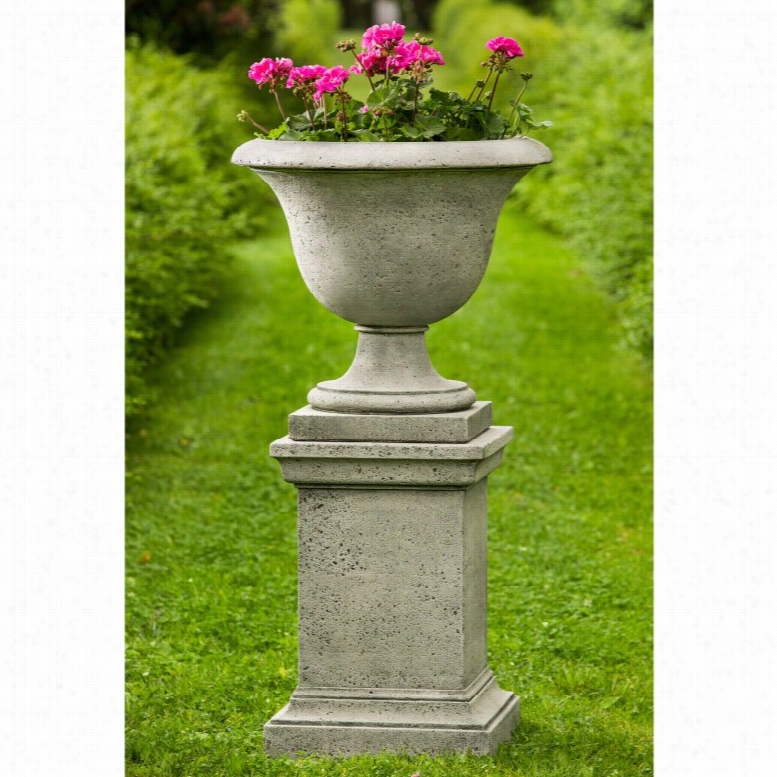 Campania International Rustic Hampton Urn Planter with Pedestal.